First thing we noticed when we landed in Istanbul was that it was boiling hot and humid like crazy, even at 1am in the morning! 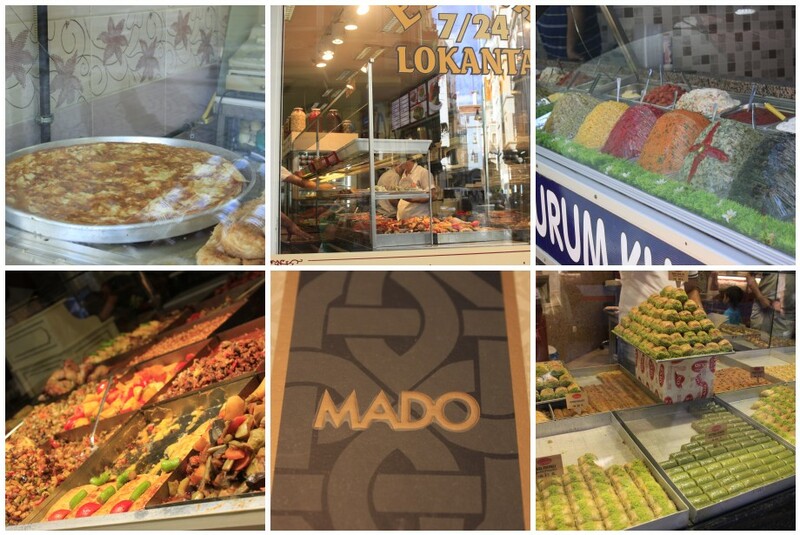 After a well-deserved sleep, a hearty Turkish breakfast with honey, cheese, olives, bread, and copious amounts of apple tea, we hit the obligatory tourist spots in Sultanahmet: Hagia Sophia, Blue Mosque, the Basilica Cistern, Grand Bazaar, and Egyptian Bazaar. A quick break for lunch found us sitting next to a giant plastic bucket of sliced bread and a somewhat pricey but rather tasty kebap platter from some place near one of the back exits of the Grand Bazaar (it was hard to tell where we were…). The owner was a Dortmund fan and we had a chat about the Bundesliga with him over lunch. This appeals greatly to the tourist in me. A few hours, lots of calories burned on our way to Süleymaniye Mosque and a 5€ shoe shine later, we stopped at the harbor of Eminönü, which looks out over the Golden Horn. What a great place to be on a hot day! A nice cool breeze, the sun glistening off the top of the waves, and the smell of fresh and fried fish saturating the air is just indescribable. The romantic in me was reminded of the movie “Im Juli”. 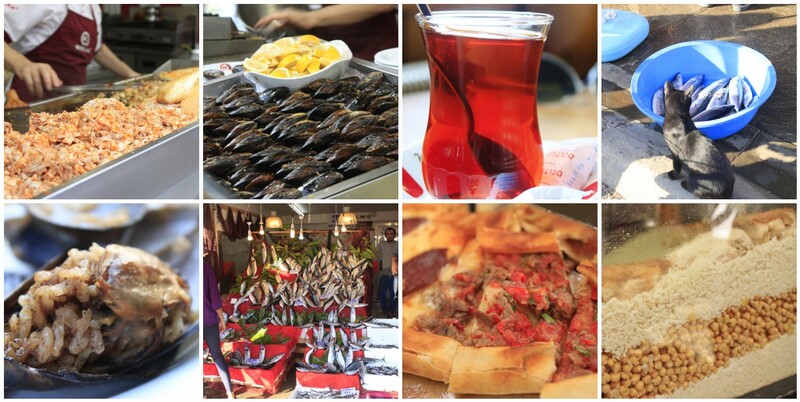 And of course, we had the mandatory balık ekmek (balık = fish, ekmek = bread). We’re going to need a lot of buns, son. On the way back to the city, we took the opportunity to stop by Şile. We’d heard that Istanbulers like to come out here to escape the city, so we took a day out of our crazy schedule to unwind on the shores of the Black Sea. Lots of fresh seafood here, right off the boat! On our last night in Istanbul, we met up with Gulsah, Flo’s soon-to-be roommate in Marburg (small world!). She took us around Karaköy and then took us by ferry to Karıköy on the Asian side. It’s a completely different world out there – a lot of alternative bars, shops selling a random assortment of clothes and trinkets, and a plethora of street food stands. Florian and I finally satisfied our kokoreç curiosity, a toasted baguette loaded with spiced fried pork intestines. Glad Flo didn’t know that beforehand…Gulsah also introduced us to midye dolması, fried mussels in rice with onions and other spices, all packed into two mussel shells. You add a squeeze of lemon on top and, using one half-shell, push the whole mass into your mouth. What an unexpectedly delicious surprise and a fantastic, handy idea! After some bar-hopping through the back streets, we ended our night at an outdoor bar with a huge terrace and a spectacular night view over to the European side of Istanbul. 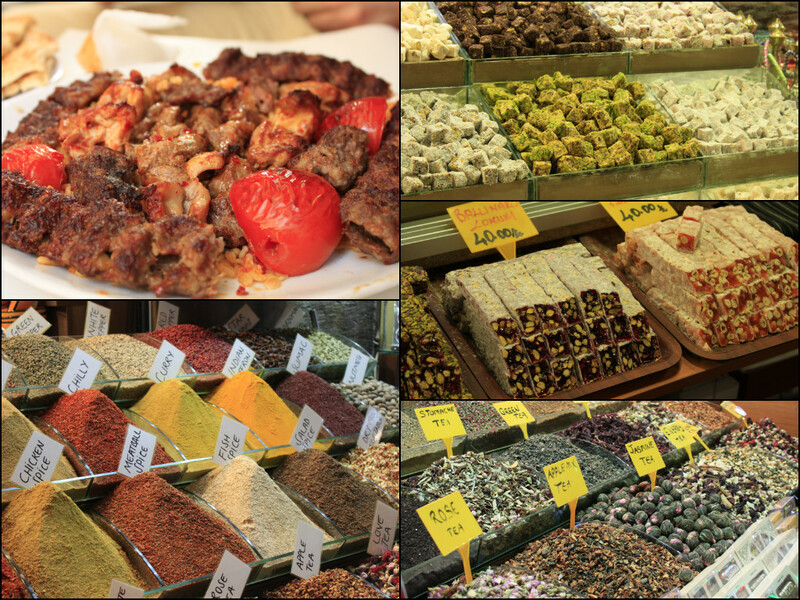 On our last morning in Istanbul, we headed back to the Grand Bazaar to pick up some souvenirs for the folks back home. 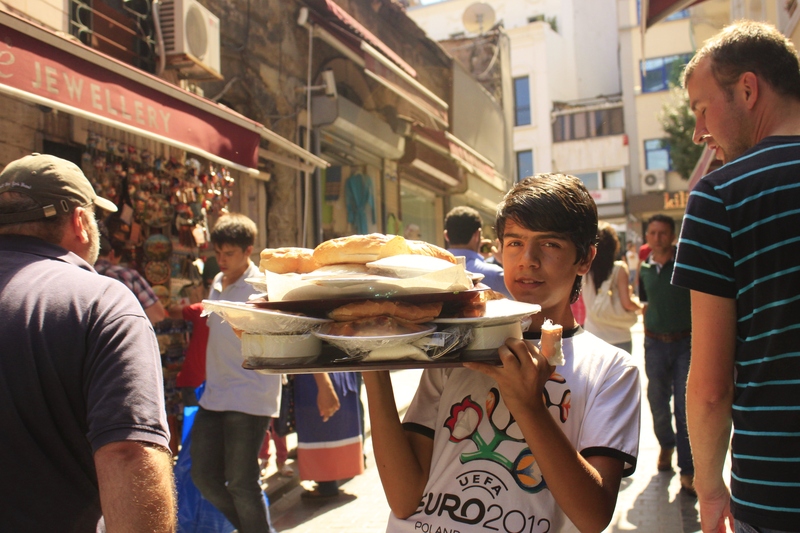 I couldn’t resist eating another nohutlu pilav and Flo had to have another pide before we left with our bags packed to the brim with spices, baklava, and apple tea…but I’m sure we’ll be back in Turkey at some point! 5. 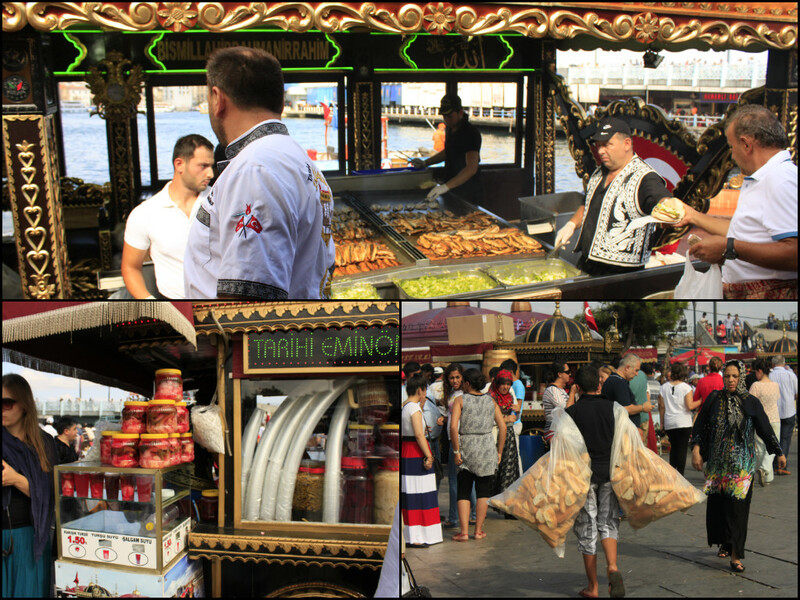 Enjoy a balık ekmek at Eminönü while watching the boats go by. You might even get lucky and catch a glimpse of a dolphin! 4. Nohutlu pilav from anywhere – cheap, filling, delicious! Chicken optional. 3. 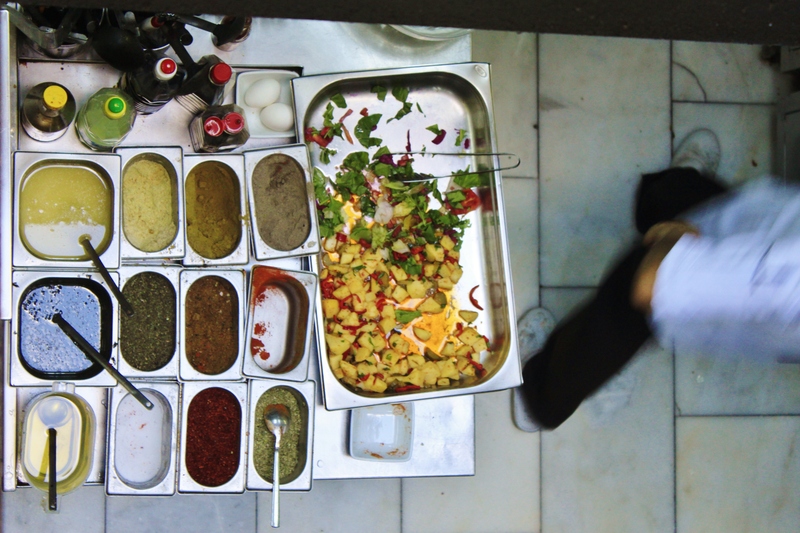 Midye dolması in Karaköy or Kadıköy. Bargain with the vendor to get a fixed price for all the mussels you can eat. 2. Winding down the evening with a beer or tea at a bar in Kadıköy. 1. Eat as much seafood as you can. It’s ALL good. Next on Travel PhooD: China!